From fonts and bitmaps to lookup tables and binary files, TinyCLR OS lets you add resources right into the program to access later. Right-click on your project and Add->New Item.... From here select Resource File. 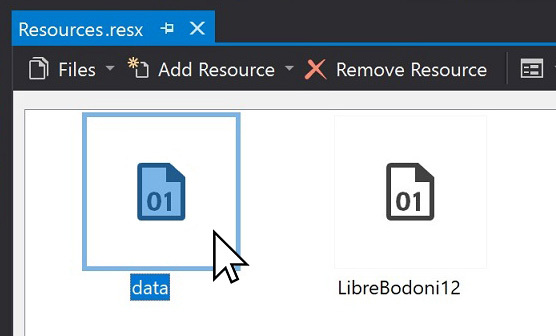 You can now drag resources right into the file. If you are copying an example code that uses resource, some minor changes are needed to match the resources' names in your project.